Established for more than 45 years, Anglers Tackle, Inc., has established a reputation of honesty, affordability, and quality bait and tackle. Our expert fisherman can provide you with the tips, tools, and techniques you need to catch yellowtail, kingfish, grouper, snapper, snook, tarpon, sailfish, or just about any other type of fish worth catching! Come check out our inventory to see for yourself! 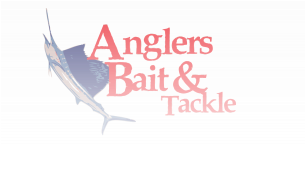 Anglers Tackle, Inc., has established a strong client base due to our affinity for quality goods, outstanding customer service, and affordable pricing. Visit our bait and tackle shop, where the expert fishermen shop! You and your fishing buddies will be amazed at our comprehensive selection of fishing gear, bait, and tackle that we have to offer. We can even exchange a few stories of "the one that got away!"